A study published in the journal Scientific American has concluded that rigorous memorizing and chanting of verses from the ancient Hindu scriptures in the Sanskrit language helps a person’s memory by increasing the size of the brain’s regions that are associated with cognitive functions. New Delhi (Sputnik) — Dr. James Hartzell of the University of Trento and his colleagues from Italy teamed up with Dr. Tanmay Nath and Dr. Nandini Chatterjee Singh of India's National Brain Research Centre (NBRC) to conduct the study on 42 volunteers trained in vigorously chanting the Shukla Yajurveda — one of most ancient Hindu religious text in Sanskrit. Brain mapping images of the volunteers revealed that grey matter was denser and the cortex was thicker in them in comparison to other volunteers who did not memorize Sanskrit chants. The phenomenon has been termed "Sanskrit Effect." Article published in the @sciam titled — A Neuroscientist Explores the "Sanskrit Effect" by Dr. James Hartzell. Experts say that though the findings are factual, the lack of connection between Sanskrit and the common Indian remains the main barrier to its effective propagation. "By linking a language to brain enhancement and intellectual purposes, we would again be doing the same mistakes which made it almost extinct from India in the modern time. For the language to be popular it has to be closer to the common man. At a time when Sanskrit was ought to be the language of the masses, Prakrit and Pali overtook it because Sanskrit was limited to the scholarly functions. 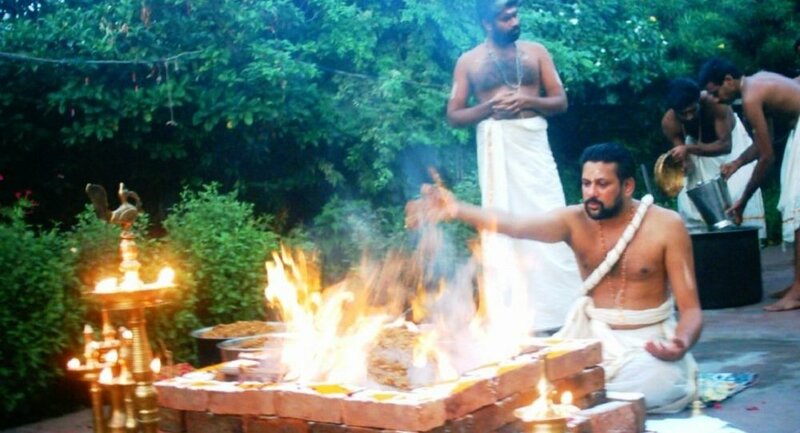 A valuable service to Sanskrit today should be to make it available to common man," D Dhanasumod, Researcher at Kalady Sanskrit University in Kerala told Sputnik. Developing Sanskrit — the country's ancient language by integrating and modernizing the language has been a prime agenda of the Bharatiya Janta Party (BJP) led right-wing government in India. As part of the effort, one of India's topmost centers of technical learning — IIT Kanpur recently introduced the e-version of Hindu holy books in Sanskrit in its portal for general masses to access and study. The step was widely commended by social media users.